10 Things Not to Miss in Raleigh, N.C.
History buffs can participate in a guided tour of the North Carolina State Capitol building. The building is one of the country’s most intact examples of Greek Revival architecture. Don’t miss the recently-restored Thomas Sully portrait of George Washington. Don&apos;t miss the area&apos;s live music scene. Raleigh has the most live music in N.C. The most dates, the most venues, the most bands, the most genres-the most any music maniac could hope to find. Check out the live music calendar here. With 21 breweries, Raleigh has everything you need to delve into the popular world of craft beer. The area is no stranger to delicious beers and offers up numerous local hotspots dedicated to the craft, making it easy to stay true to your tastes and explore new brews. Study the flavors in unforgettable meals at restaurants where you&apos;ll taste the area&apos;s newfound culinary creativity. You&apos;ll quickly see why our culinary scene is gaining national recognition. Award-winning chefs are constantly setting trends in unique and creative takes on comfort food. This nearly 20,000-seat facility boasts a robust calendar of sporting, family and live music events, including appearances by many national touring acts. Don’t miss NHL hockey with the Carolina Hurricanes. With exciting exhibits, programs and research centers, the North Carolina Museum of Natural Sciences enables visitors of all ages to experience many fun sides of science. Permanent exhibits at the history museum include the award-winning exhibition The Story of North Carolina, the North Carolina Sports Hall of Fame, an overview of N.C.&apos;s military heritage and more. And check out our 10 "Must See" Things at the North Carolina Museum of Natural Sciences. (Pictured above.) 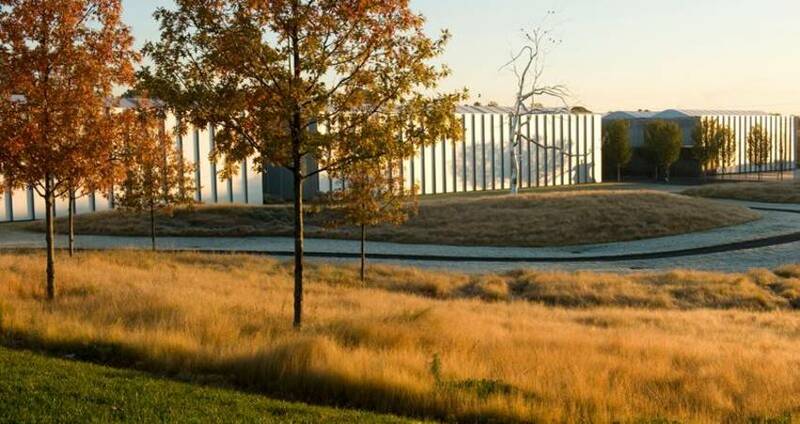 From Roden to Wyeth, the North Carolina Museum of Art will bring out your inner artist and muse. Explore the intersection of art and nature in the 160-acre Museum Park. Don’t miss local artist Thomas Sayre’s Gyre. And don&apos;t stop there. Explore all of Raleigh&apos;s innovative arts offerings. This pub owns the world record for most beers on tap, with an outstanding 366 handles. And by the way, they also serve some really tasty grub. Don’t miss their extensive selection of local craft brews. Plow & Hearth, Anthropologie and lululemon athletica are a few standout stores at North Hills. This outdoor shopping mall also features a variety of cool boutiques like Scout & Molly’s and Monkee’s of Raleigh. Don’t miss The Cowfish at North Hills. This $115 million library isn’t just for books, although it has 1.5 million of those. There are several high-definition visualization walls, a game design lab and even 3-D printers. One word… bookBots. Raleigh resident Wendy McCarthy is a mother, home cook and Lifelong Learner.